You have read all the good things about Kotlin and you are ready to switch. 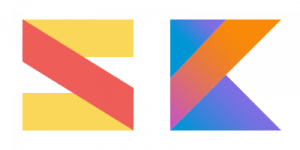 You want to benefit from the reduced maintenance cost and the increased development speed of using Kotlin. Why To Convert Java Apps To Kotlin? the Java code you want to convert is under active development. So if you want more productivity you need to have it all in Kotlin. you want to save maintenance costs and complexity. The more code you have the more it cost to maintain and the more bugs and headaches it brings. That is especially true if you have to implement a library that does the same thing in a slightly different way for each platform. Kotlin is concise and can work on many platforms. you want to have all your developers on the same page, knowing and understanding the same code. So that you can hire less developers or make it easier to use your software for your clients. However to convert your existing code you need to distract your developers from other projects, and you cannot afford that. Furthermore you are still training them in Kotlin and you do not want to use your main source of income as a training ground. That is where we come in: we can help you by converting your Java applications to Kotlin. Why Not To Convert Java Apps To Kotlin? In our experience there are also a couple of scenarios in which it might not make sense to convert your Java code in Kotlin. The first one is when your existing Java code base is large and in maintenance mode. It might still makes sense to convert strategic libraries that are used elsewhere, but you are not going to save much by putting old code in a new form. That is unless you want to restart the development of the project in Kotlin. The only time it might make sense to convert maintenance code is when the code base is small. That is because otherwise you still have to pay an expert Java developer to maintain the old code. To allows us to make the best conversion possible you need to provide access to your development environment and a way to check that the conversion is correct. This saves both of us time and headaches. Our guarantee is that you will get idiomatic Kotlin code, with all the comments preserved and all the provided tests passing. In addition to that you will have 6 months to report any problem with the conversion and we will fix it for free. The cost for this service is 1 Euro per line of Java code, with a minimum cost of 1.000 Euros. You can contact us and we will get this moving quickly.